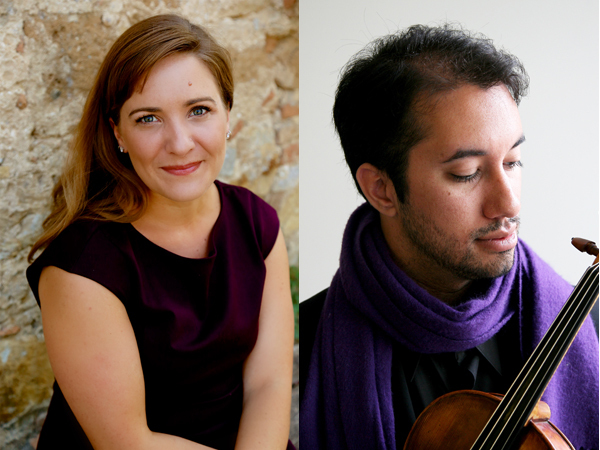 Lindsey Strand-Polyak and Vijay Chalasani invite you to wind down on your BFX Saturday with a happy hour program of galant duos, featuring music from the Parisian salons of pre-revolution France as well as early 19th century works from the conservatory tradition. In the late 18th and early 19th-century, the two-melody instrument duo was one of the most popular and diverse chamber music combinations, suitable for amateurs and professionals alike to be performed in intimate house concerts—but with the convenience of only needing two people, and no large keyboard instrument! String duos in the Paris and Milan conservatories were crucial pieces of a young musician’s repertoire, suitable for performing alongside with one’s teacher (or in our case – with a good friend!). From the “Grand Duo” of Pleyel’s Op. 69 to the inventiveness of Mozart’s K. 423 and the virtuosic bravura of Rolla, join us as we present some of our favorite pieces that showcase the wit, charm, and elegance of this under-performed repertory in the way it should be enjoyed – with drinks among friends! Beer/Wine and Viola Jokes provided, or BYOB! Praised for her “rococo gracefulness”, Lindsey Strand-Polyak is active throughout the West as a baroque violinist and violist. Nationally, she performs with ensembles such as the American Bach Soloists, Seattle Baroque Orchestra, Pacific MusicWorks and Bach Collegium San Diego, and Austin Baroque Orchestra; and has appeared at the Oregon Bach Festival, Twin Cities Early Music Festival, Montana Early Music Festival, and the Fringe Series of both Boston and Berkeley Early Music Festivals. In her home base of Southern California, she can be heard with her own group, Ensemble Bizarria, as well as Musica Angelica, Con Gioia Early Music Ensemble, Tesserae, and Concordia Clarimontis. 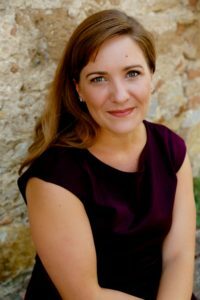 Dr. Strand-Polyak was the Assistant Director for the UCLA Early Music Ensemble from 2011-2015, and is Artistic Director of Los Angeles Baroque—LA’s first community Baroque orchestra. Lecture-recitals include McGill University, University of Texas at Austin, University of Oregon, Northern State University of Louisiana, and national meetings of the American Musicological Society. She has served on the faculty of the Colburn School and the Herb Alpert School of Music at UCLA, and was recently appointed adjunct professor of baroque violin and viola at Claremont Graduate University. She earned her PhD/MM in musicology and violin performance from UCLA, studying historical performance with Elisabeth LeGuin and modern violin with Guillaume Sutre and Movses Pogossian. 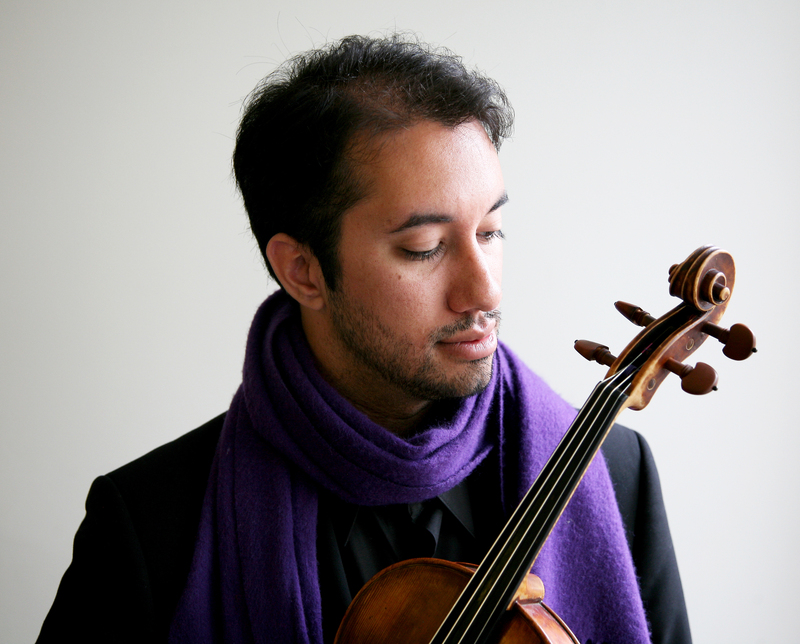 Violist Vijay Chalasani is a Seattle-based performer, scholar, and teaching-artist whose work focuses on the performance practice of music of the last five centuries. Equally at home on both modern and historical violas, Chalasani was featured as a soloist in performances ranging from the Walton Viola Concerto and Bruch Romanze with modern orchestras, to Bach’s 6th Brandenburg concerto and the Telemann Concerto for Two Violettas with period orchestras. An avid advocate for contemporary music, Chalasani was the soloist in the US premiere of Vinko Globokar’s chamber-theater piece “Blinde Zeit” with members of the Callithumpian Consort, supervised by the composer. He has also performed with violist-composer Garth Knox, pianist-conductor Stephen Drury, and the Inverted Space Ensemble, coached with composer Brian Ferneyhough (on his “Adagissimo” for string quartet), and has collaborated with the Guerrilla Composers Guild and others to actively commission new works for the viola. Chalasani performs frequently on period instruments with ensembles such as Sinfonia Spirituosa, American Bach Soloists, Pacific MusicWorks, Early Music Vancouver, and the Albany Consort, as well as in chamber music performances of works from the classical and romantic eras on historical instruments. Chalasani is Predoctoral candidate in the Doctor of Musical Arts program at the University of Washington, where he studied viola with Melia Watras; as a Teaching Assistant at the UW, he worked with the Modern Music Ensemble and Baroque Ensemble, and taught Chamber Music Lab and String Techniques. Chalasani’s graduate studies were at the San Francisco Conservatory of Music, where he studied with Don Ehrlich (modern viola), Elizabeth Blumenstock (baroque viola), and the late Mark Sokol (chamber music). His undergraduate studies were at CSU Sacramento, where he studied viola with Anna Kruger, chamber music with Ian Swensen and Andrew Luchansky, and pedagogy with Judy Bossuat.